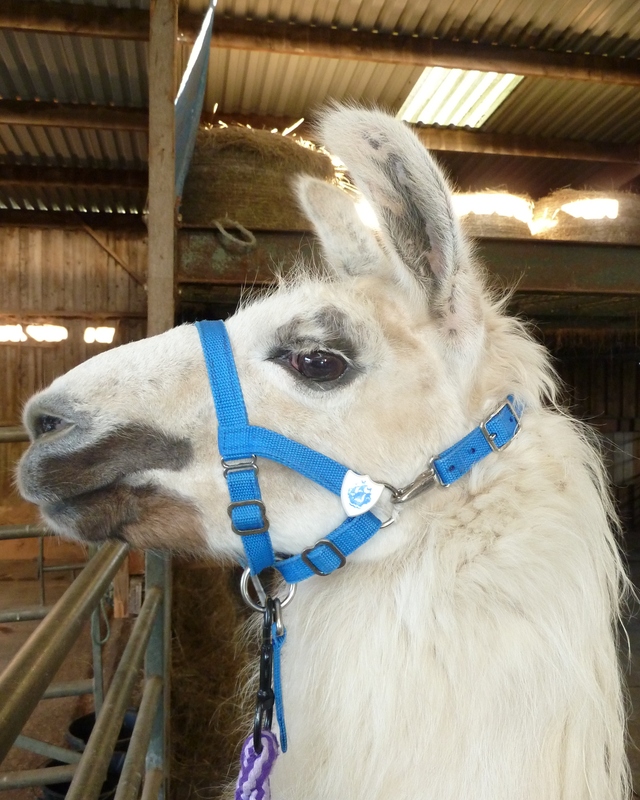 Spinach is our oldest and very special llama and has lived at Catanger Farm since he was a weanling aged just 6 months old where he started his career as a trekking boy. 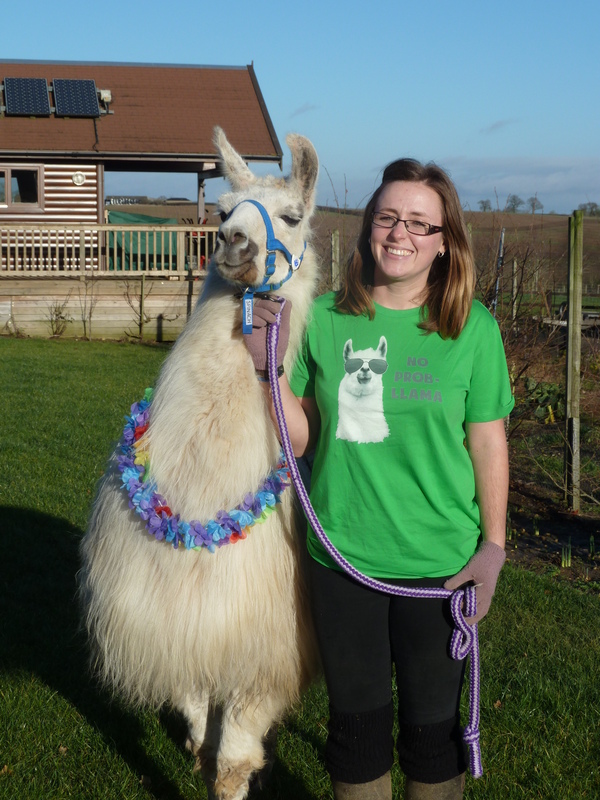 Spinach has been trekking for Catanger Llamas since they were first established in 1995. He is a very well known and loved llama who has had a very colourful life, going on many trips to London for various promotional events and shop openings and nativities, he has also starred in detective drama Midsomer Murders and well-loved children’s series Horrible Histories. Spinach also has a Blue Peter Badge after a visit from the show’s presenter Matt Baker! 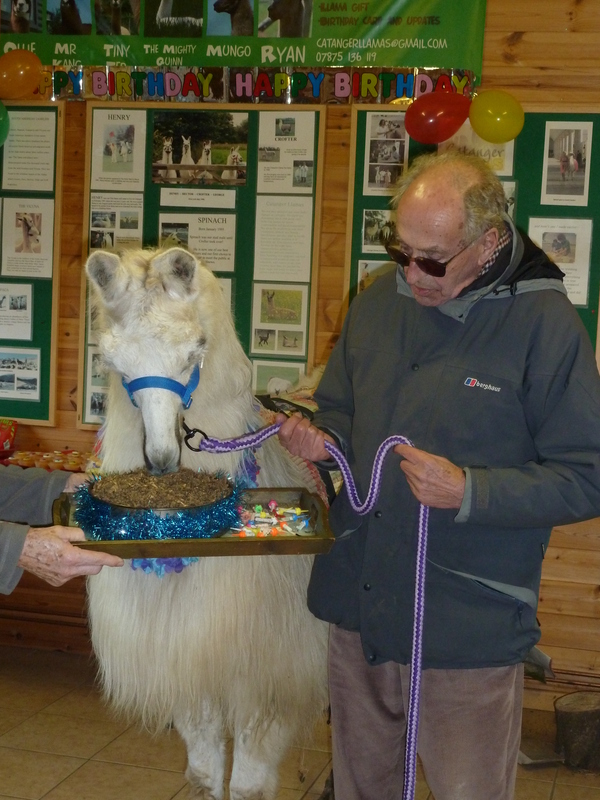 Spinach has now spent most of 20 years living happily at Catanger Llamas which is a breeding and trekking centre in the heart of Northamptonshire, with his various 36 other llama friends, 2 horses and a donkey called Dasher. 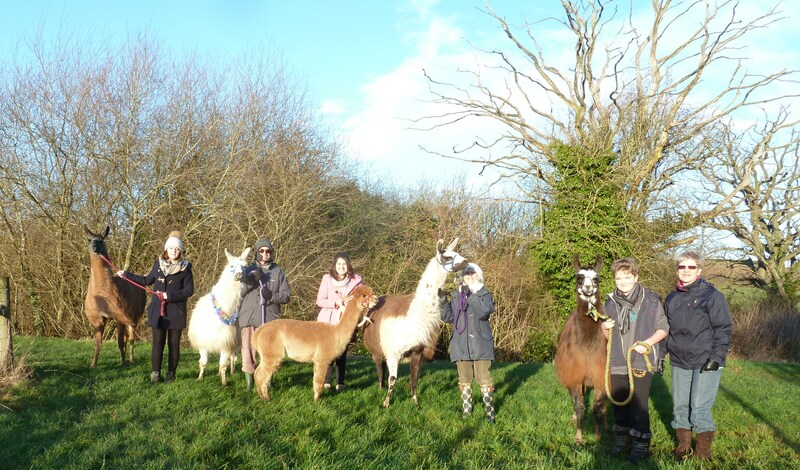 Llamas normally live to mid-late teens, with 17 being a good average age. 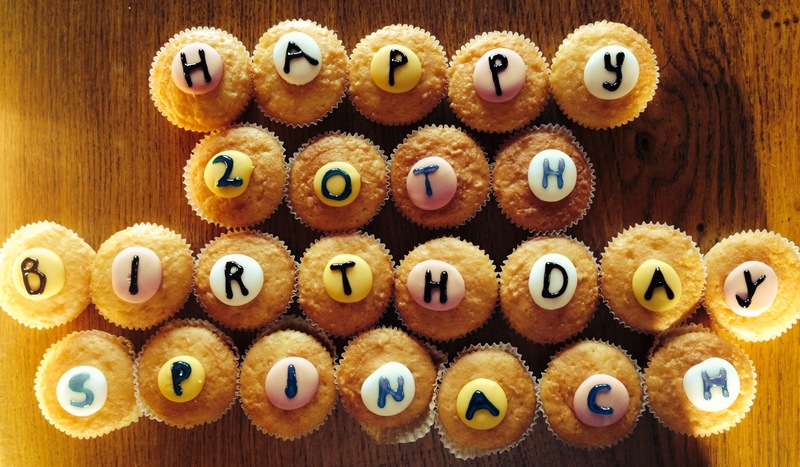 So, as we haven’t yet had a llama go into their twenties we thought that Spinach’s birthday was a real milestone and he deserved a party! Even though our old man only has one tooth left he is still a very happy, fit and healthy llama and we look forward to many more years with this grand old boy. 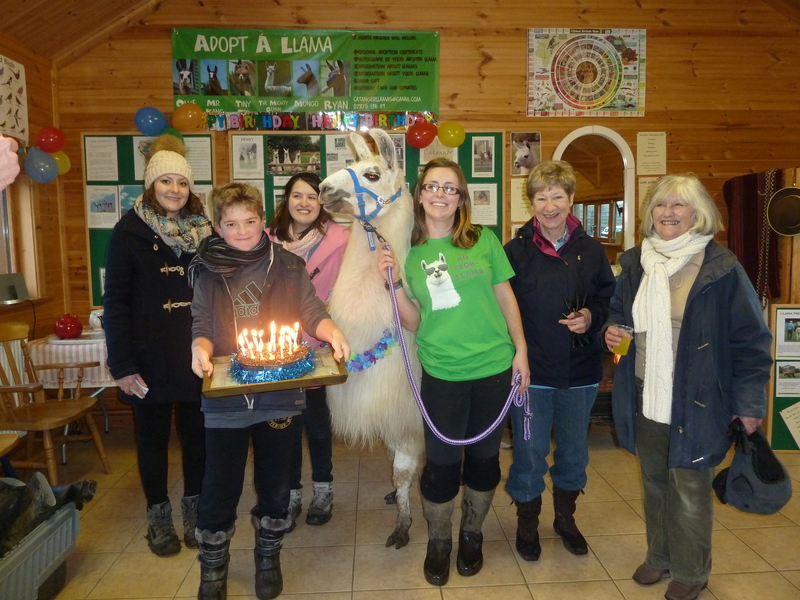 To celebrate reaching the milestone age of 20 we invited people to come visit Catanger Llamas to get the chance to meet Spinach, go on a trek with one of the llamas and then enjoy some tea and cakes… And watch Spinach devour his ‘llama cake’ of course! Everyone had a lovely day and enjoyed sharing his birthday with him.